This weekly Daily Post writing challenge is to write a cliff-hanger. http://dailypost.wordpress.com/2014/01/06/weekly-writing-challenge-cliffhanger/ So expanding on a character from an earlier Daily Post writing challenge, The Crone of Lake Cowichan http://cronesapprentice.com/2013/11/19/the-crone-of-lake-cowichan/ , I give you a little mystery. Enjoy this offering. She opened the front door of her cottage and breathed in the fresh, crisp morning air and caught the smell of her favourite flower, Lilac. Autumn was the season the Crone loved the best but spring came a close second. Picking up the newspaper from out of the mail box that was attached to the side of her lake front cottage, she scanned the headlines while turning back into the house and shutting the door behind her. “DUNCAN WOMEN MISSING” Still no clues to the whereabouts of 20 year old Amber Carmichel. A shiver ran down the Crone’s spine. Stuff like this just doesn’t happen around here she thought. Duncan was the closest city to Lake Cowichan but as cities go, it was still considered a small community. I have a bad feeling about this. Putting the newspaper down on the table, she turned to pour herself her first coffee of the day. “Ah the elixir of the gods”, she purred after taking her first sip. She placed the cup beside the newspaper and opened the curtains to greet the sun coming up over the lake. A black, beady pair of eyes startled her gaze instead. 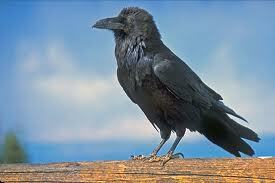 Perched on the railing of her cedar deck sat the largest Raven the Crone had ever seen. Being wise to symbols of nature, the Crone knew that the Raven was a messenger of hidden mysteries but she also knew they could be tricksters too so she was aware that the bird could just be messing with her on this sun soaked morning. Still, with the headlines of the newspaper fresh in her memory, the Crone couldn’t help but think of the most common, all be it, false meaning associated with Raven’s and that was as an omen of death. “Good morning Raven. What message have you for me today?” she enquired. The Raven gazed at her for a few more seconds, then cawed it’s throaty cackle, spread it’s wings and lifted itself off her railing and flew away over the lake. “Well that was interesting”, she mused out loud as she turned to grab her coffee mug for a another drink but her right eye caught the sparkle of something on the floor of her deck. Changing direction instead, she opened the french doors to her deck and stepped out to see what it was that caught her attention. Stooping down directly in front of where the Raven had perched, she picked up a silver chain bracelet with rhinestones evenly spaced between it’s links. “What the hell”, she cursed, “Where did you get this Mr. Raven?” Turning it over to examine it closer, the bracelet appeared to have broken where two links had pulled apart. The Raven could have gotten the chain almost anywhere. Raven’s loved shiny treasures. Holding the bracelet tighter in her hand, the Crone sensed a dark energy coming from the chain. The breaking of the chain was no accident, something or someone ripped this off the owners wrist. A second chill ran down the Crone’s spine. Seriously creeped out with this mornings goings on, the Crone once again picked up the paper she left on her table and began to read the missing women story. The women had been missing for 3 days, her family frantic, no sign of trauma in her apartment, no witnesses, one suspect….. her boyfriend. What did all this mean? Is this Amber Carmichael’s bracelet? Was the Raven trying to tell me something, and why tell me? Yet the Crone intuited that she was a part of this mystery somehow. Totally distracted and deep in thought, the crone jumped when she heard the front door bell chime. Who could possibly be here this early in the morning? It was just past 8am and she had no appointments for readings today. She had only been living in Lake Cowichan for a few months and knew very few people. The probable suspect to ring her doorbell, her neighbour Jack Fortin, was away for a few days visiting his son and his family in Vancouver, so it couldn’t be him. For the third time this morning, a shiver ran down the Crone’s back. 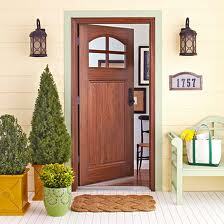 She rose from her seat, mentally shook herself off and walked to the front door of her dream cottage. Steadying her shaking hand she grasped the door handle, turned it slowly to the right to unlatch the door and steeled her nerves to confront whatever waited for her on the other side.